Most work is done the same day, in customer's home. If the television has to be taken to the service center for further diagnostics, please allow 1-2 business days to be provided the estimate. If part(s) are required to complete the repair it may take between 3-5 business days depending on the parts availability. 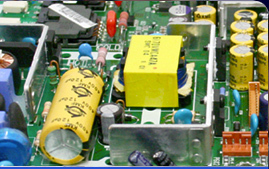 N.Y TECH TV REPAIR INC. provides a 30-day labor and a 90-days parts warranty. NY TECH TV REPAIR will replace any malfunctioning parts that were placed inside the television unit. Only parts that have been replaced by us have a 90-day warranty. The warranty only applies if parts, which NY TECH TV REPAIR replaced, are the cause of the malfunction. NY TECH TV REPAIR provides 30 days labor warranty only for part(s) that were replaced by NY TECH TV REPAIR. If the TV has been damaged or tampered with outside of our possession, in cases such as: water damage, physical damage, increased voltage in socket, above room temperature (71° F to 82° F), humidity, etc. If the TV has been opened by non-qualified personnel. If there are foreign objects inside the TV including but not limited to insects or rodents and their traces. We do not share the customer's personal information with anyone else. We pride ourselves in being very confidential. All service calls are scheduled on mutual convenience. There is a Home service fee charge depending on the television size. Home service fee must be paid upfront, before any diagnostics are made. NY TECH TV REPAIR handles all pick up and delivery when necessary. Upon cancellation of any repairs, the Home service fee charge will not be refunded. All cancellation of appointments must be made two hours before the scheduled appointed window*, if the customer fails to cancel within that time; the Home service fee charge is not refunded. If customer needs to reschedule an appointment, he/she must a call minimum of two (2) hours before the appointed window*. If the customer decides to reschedule the appointment AFTER MISSING THE PREVIOUS APPOINTMENT, the additional charge will be the minimum rate of $30 along with the previous Home service fee charge. NY TECH TV REPAIR WILL ISSUE A FULL REFUND FOR THE Home service fee CHARGE ONLY IF THE CANCELATION OR RESCHEDULE IS MADE A MINIMUM OF TWO (2) HOURS BEFORE APPOINTMENT TIME*. * Example: Appointment is at 1:00PM until 5:00PM, Customer must call by 11:00AM to cancel or reschedule in order to not be charged the additional $30, or to be issued a refund. A technician or representative may call the customer to confirm the Home service fee and give an estimated time of arrival. If the technician or representative is not able to reach the customer they will assume they are not home and the appointment will be canceled. The additional trip will be charged only if the technician or company representative doesn't reach the customer during the appointed window. Please remember that we may or may not call. If you have any questions please, feel free to call us. We will be glad to help. With no extra charge or Pickup & delivery. ** Upon technicians arrival Home service fee must be paid in advance!!! ** UPON TECHNICIANS ARRIVAL HOME SERVICE FEE MUST BE PAID IN ADVANCE!! # If customer cannot provide access to the television set, or cannot aid the Technician in moving it to a reasonable working space, the extra technician charge will be applicable. Only in the case of televisions over 38" will the extra technician charge be considered. Dismounting the television is solely the customer's responsibility, and is not included in the labor charge. If the customer does not wish to personally remove the television, the appointment may be rescheduled, and the extra technician charge may apply.